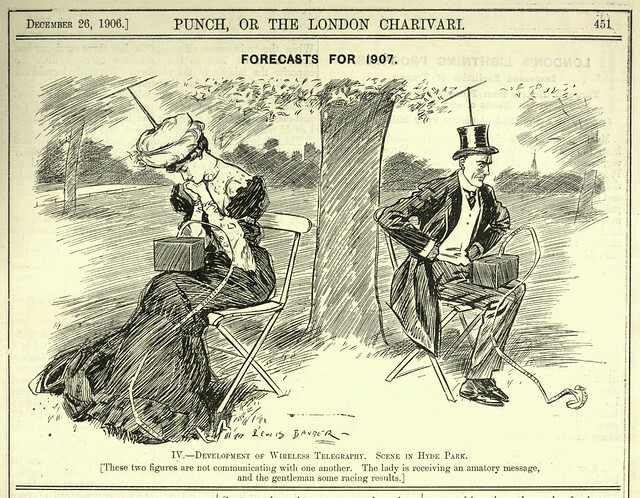 Replace these “wireless telegraphs” with smartphones, update the dress a little, and this vision from a 1906 issue of Punch magazine could easily be for 110 years in the future. 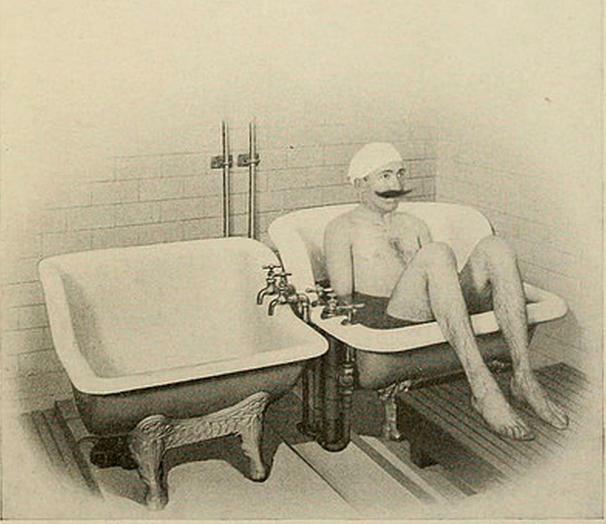 Part of a series of “forecasts” for the year to come, the caption reads: “These two figures are not communicating with one another. The lady receives an amatory message, and the gentleman some racing results.” It’s a reminder that the idea of technology leading to a breakdown in “authentic” human interaction is a worry not solely limited to our age. 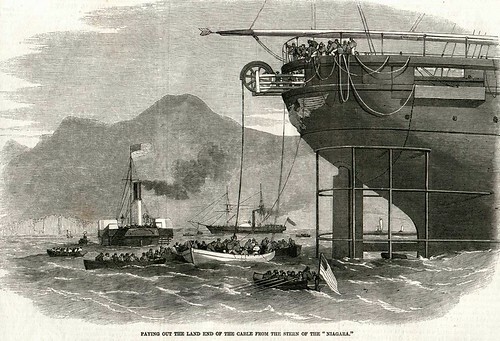 As we pull on the thread, we might recall that it was on this date in 1858 that Queen Victoria sent the first official telegraph message across the Atlantic Ocean from London to the U.S. (Test messages had been exchanged for the prior 10 days). 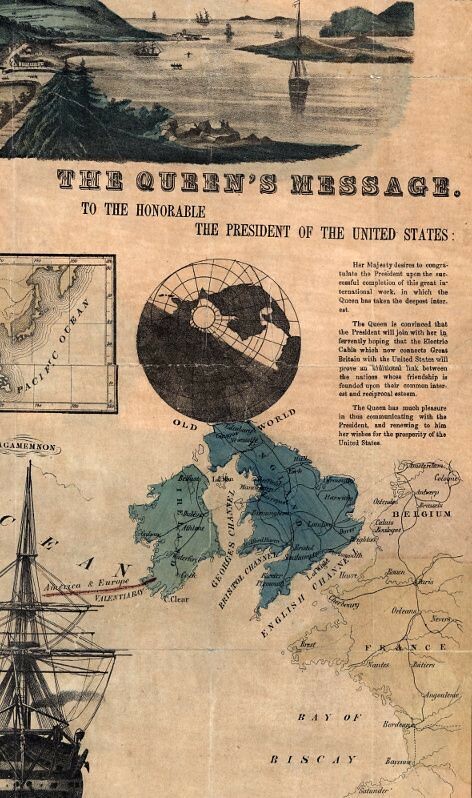 Her message to President Buchanan, in Washington D.C., began transmission at 10:50am and was completed at 4:30am the next day, taking nearly 18-hrs to reach Newfoundland. With 99 words, consisting of 509 letters, it averaged about 2-min per letter. 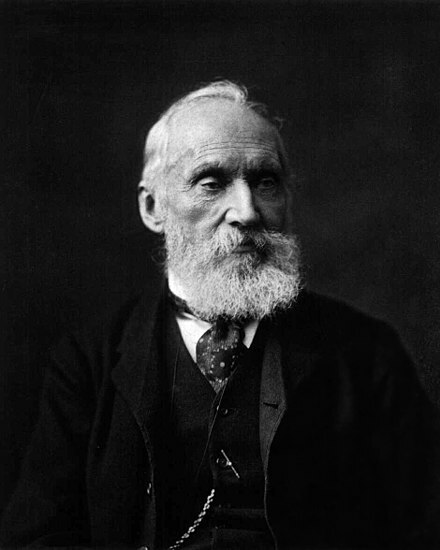 The message was forwarded across Newfoundland by an overhead wire supported on poles; across Cabot Strait by submarine cable to Aspy Bay (Dingwall), Cape Breton; then by an overhead wire across eastern Canada and Maine, via Boston to New York. 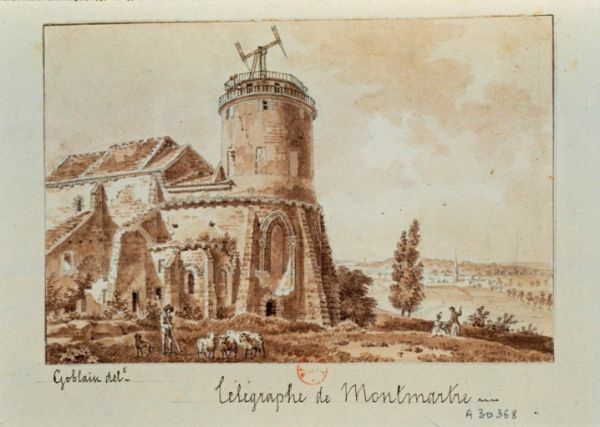 This earliest Transatlantic Cable went dead within a month.